We welcome you to the 2nd Concertation Meeting, hosted by the Software & Services, Cloud Computing, DG Connect. The objective is to contribute to the preparation of the H2020 LEIT ICT WP2016 -2017 in the area of cloud computing and software & services. With 45 position papers already collected, we already have a set of recommendations to work from during the meeting. The major outputs from the previous Concertation meeting back in March highlighted the importance of clustering & convergence between projects. This can ensure European leadership and provide a European market landscape of products, services and applications. The fruits of that meeting show in today’s position papers which describe clear, promising & tangible relations between a number of related projects. CloudWATCH Global Use Case Identification. Through the Reference Model Framework Report, CloudWatch has defined a coherent information model based on the ISO/IEC & ITU-T cloud computing reference architecture (upcoming Recommendation/International Standard Y.3502/17789). The model has let us create of a set of coherent case-studies from three key stakeholders classes of user community: academic, enterprise and public sector. From these we have then selected 15, which will be used as the foundations of our use cases. With detailed information captured through multiple telephone interviews, the use cases are all hosted within a living document, which is updated and versioned upon each follow up. From these disparate case-studies a single set of user stories that can then be used to inform activities on standards profiling. CloudWATCH & Standardisation. Numerous Cloud Standards profile workshops have been organised together with a number of EC funded projects, initiatives and foundations, and SDOs in Europe and worldwide, such as OCEAN, Cloud for Europe, EGI-InSPIRE, OpenNebula, CompatibleOne, and many more. The ultimate goal of these workshops is to elicit the need, and the scope of profiling one or more Cloud standard in order to facilitate interoperability of Cloud services and infrastructures in Europe. 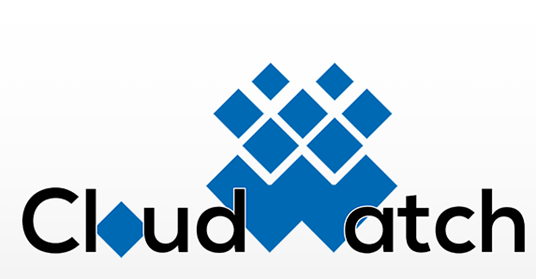 CloudWATCH calls on any project involved in Cloud standards implementation or development to action participation at, or co-organising, regular, open and authoritative interoperability testing events across Europe. Cloud standards, and eventually profiles, are nothing without demonstrating interoperability. European Cloud Scout hosted on CloudWATCHhub.eu. On 10 July the European Commissioner for the Digital Agenda and Vice President of the European Commission Neelie Kroes launched the European Cloud Scout (ECS). An elaboration of a concept originally developed in Germany, this easy-to-use online tool provides European SMEs with tailored information and recommendations regarding their use of cloud services. The EU-wide version of Cloud Scout results from a collaboration between DsiN, DIGITALEUROPE, national trade associations around Europe, and CloudWATCH. It is hosted on the CloudWATCHHub. 7 country versions are available as well as an EU-wide version in English: Belgium (Flemish & French), Finland, Germany, Hungary, Spain and the United Kingdom. This enables Cloud Scout to serve the needs of an impressive number of SMEs across Europe. Access the EU Cloud-Scout from http://www.cloudwatchhub.eu/cloudscout and see the implications of Cloud Computing on your own business. Exploit results Better to advance innovation: cluster, reuse, share and build from results, evolve existing tools. Cloud Shared Services platform: simplified exchange of shared service offerings; delivery and provision of national data sets to EU level. Security: industry standards; risk relevancy for adopters to formalise SaaS decision-making process. Federated Clouds: Use cases requiring multiple facilities or providers, possibly geographically dispersed, possibly supporting different business models. Technical and SLA standardisation: improve scalability through standard protocols and cloud deployability in IaaS; machine-readable representations of services, quality, negotiations; Standardise SLAs to simplify relations, clarify service levels. Standards for: Web accessibility, Mobile payment, Linked Open Data, Intelligent Transport Systems and Advanced Manufacturing, and Internet/Web of Things for Smart Grids, Metering, and Cities. Open Source Software ecosystems: Risk analysis, detection and mitigation methods for cloud-based virtualised infrastructure and services; ecosystem monitoring tools. Open Data and Cloud: cloud as an enabler for open data management: a network of open data nodes to enable a distributed management. We would like to thank all the European Commission representatives for their support and all project participants for their prompt, interesting & active contributions.